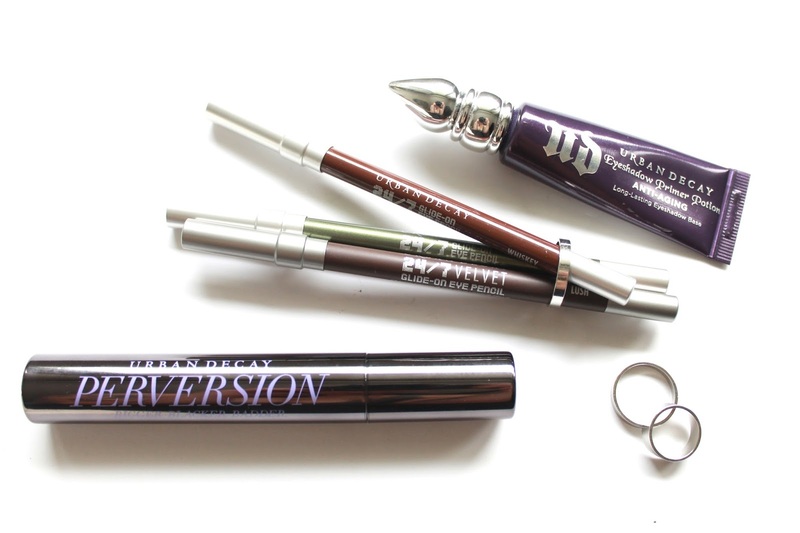 When it comes to brands, Urban Decay has a very special place in my heart. It was the first brand that made me fall in love with make up. I always look forward to what they have coming out anytime of the year, as many of their products have been favorites of mine and sit top shelf of my makeup drawer. The brand has been the original "Cool Girl" of makeup since the 90's and since then, has been creating the best products wrapped in beautiful packaging; that makes makeup addicts go crazy. Today, I'm offering you an inside look at what I have in my makeup collection that focuses on Urban Decay. 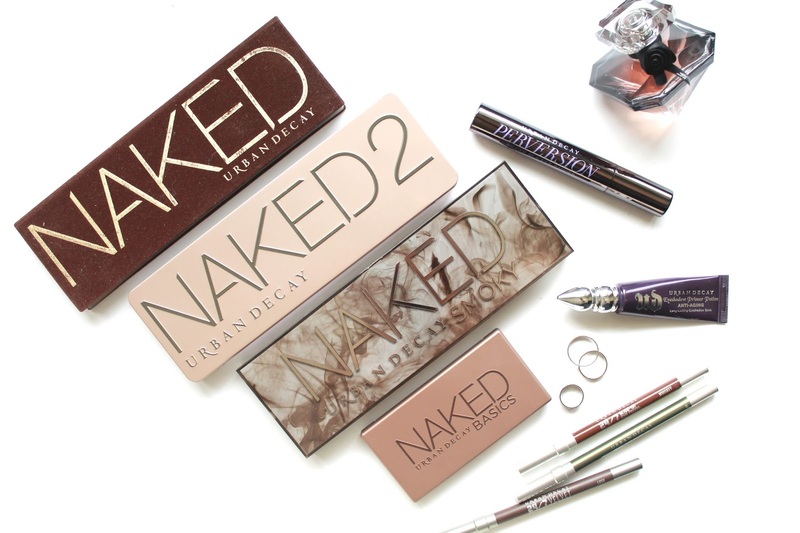 For many make up lovers, the word Naked has a whole new meaning. I remember getting my first Naked palette for my birthday, a few years back. My mom bought me the original Naked option, loaded with bronze toned neutrals and shimmering pigments. I was literally obsessed and used it for everyday and every occasion -- and still do to this day. Since its original release, there's been a Naked 2 option, which has all your taupe colored neutrals and cooler toned shades that extend to what the original palette doesn't have. Then we saw the release of the Naked Basics palette. This tiny palette houses all matte, neutral shades that are great for everyday wear and is of course, travel size friendly. 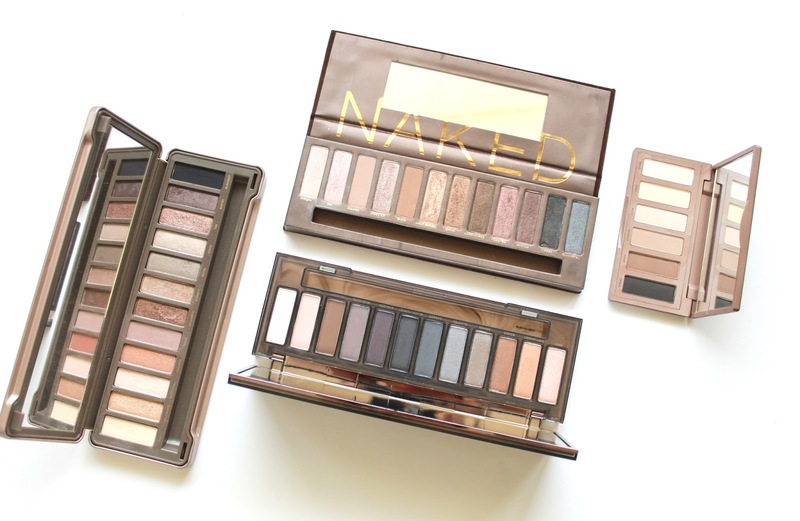 The latest release, is the Naked Smokey palette; which does exactly as named. This is definitely for those who don't shy away from the drama and want all the deep and rich pigmentation they can get their hands on. What's interesting is that, I have been able to make this wearable for everyday since it has a few shimmery shades to create a wash of color on the eyes. Overall, I love the versatility of this palette and is going to be my solid go-to for the Fall season. If you're looking for the best products for durability and longevity, look no further. 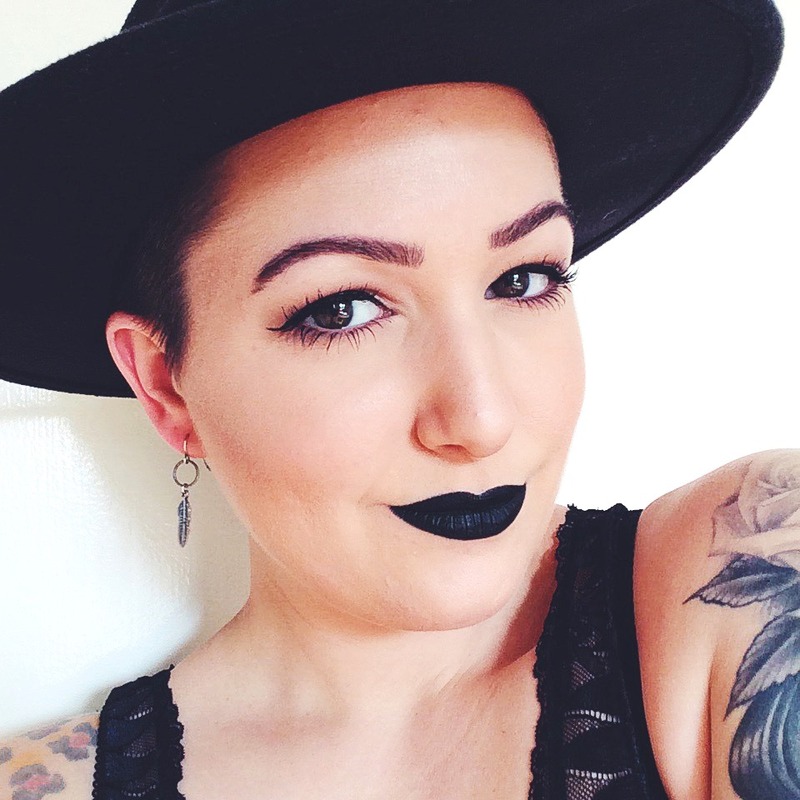 The Eye Shadow Primer Potion is staple in my face kit. I have tried many shadow primers and this is the best one I've used for not only the eyes but for around the nose as well, to hold my foundation in place. The 24/7 Eye liners are my favorite formulation for the waterline. They glide on full color and do not bleed out of the line where you place it. Since I have a hooded eye (where the skin fall on top of the natural fold/crease of the eye) many liners tend to transfer to my lid mid-day. These do not transfer at all. I've also used these to create eye shadow bases to make my shadow last longer and truer to color; which is great for creating those grungy and smoky eye looks. The Perversion mascara is literally gold. Solid gold. The brush is large and full and carries a lot of product for each swipe on the lashes. The total effect is thick and massive lashes. The only way lashes should be.